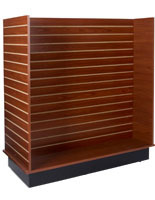 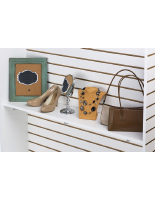 This floorstanding slatwall gondola enables merchandisers to create eye catching shop layouts for merchandise for sale. 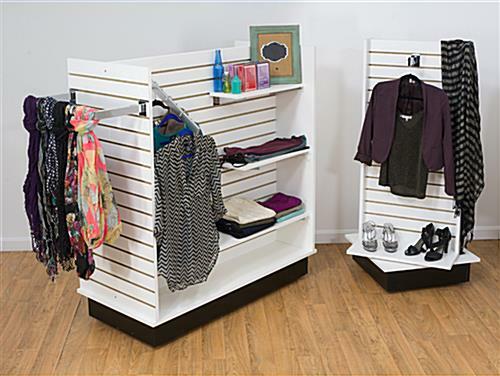 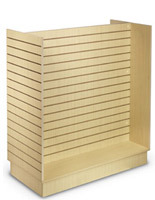 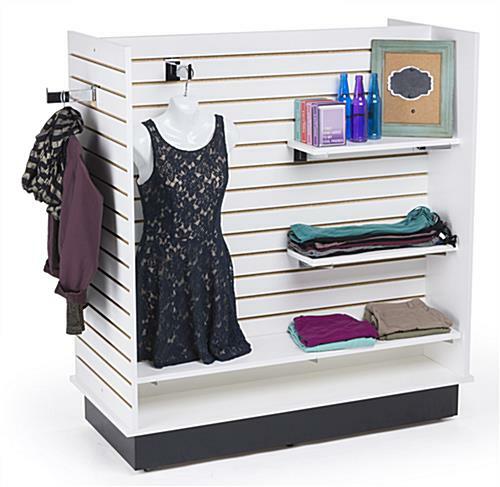 This white shelving unit with a four-sided H-design provides 51 squ. 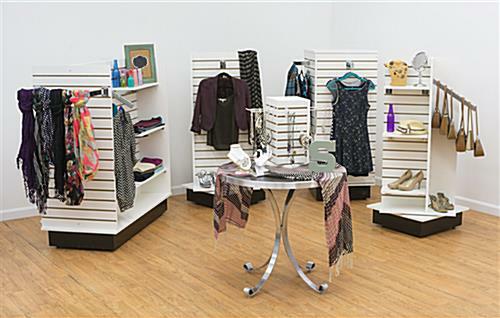 ft. of display area. 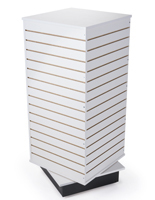 This slatwall gondola with heavy duty Anchor® Core panels is 50 percent stronger than standard fiber board supplies. 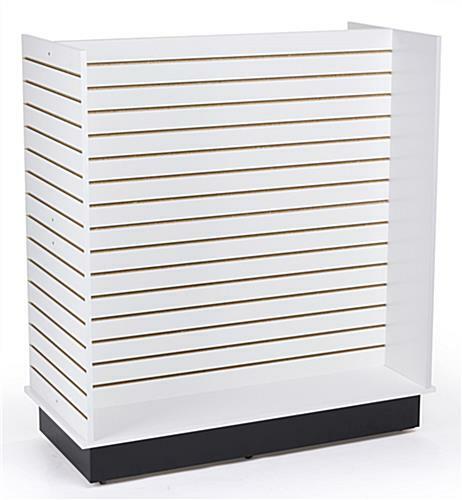 Customize retail store fixtures such as this freestanding case with shelves and attachments for highlighting featured products and promotions. 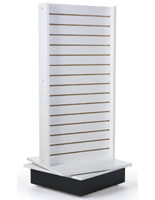 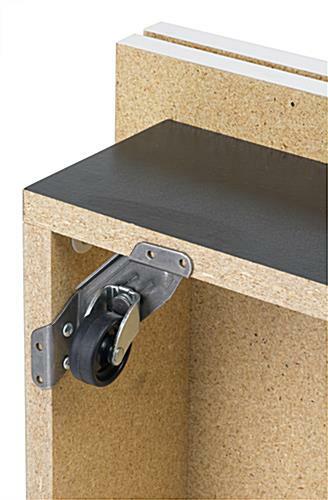 This gondola with slatwall design features hidden wheels for easy transport and a finished look when stationary. 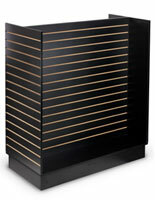 51.0" x 55.0" x 24.0"